Developing regions all over the world are medically underserved and experience tremendous gaps in the availability of surgical care, which most outside of the medical community remain unaware of. The region made up of East, Central, and Southern Africa is one such area. 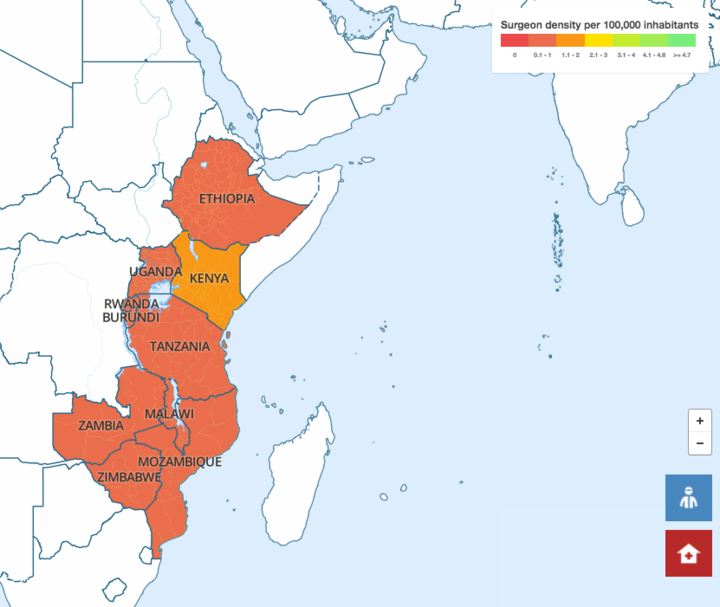 SurgeonWorkforce (http://www.cosecsa.org/global-surgery-map), an interactive map, aims to create awareness about this dearth by offering insight into surgical workforce distribution in the region.